What’s not to like about sweet, furry, adorable alpacas? They are clean, safe, quiet, intelligent and disease resistant. They are easy on the land and eat less than other farm animals. And they produce a prized fiber used in luxurious, soft, and warm blankets, hats, and gloves. My goodness, even their feces is odorless and they typically deposit their waste in one or two locations in a pasture. South American Indians use alpaca dung for fuel and fertilizer. 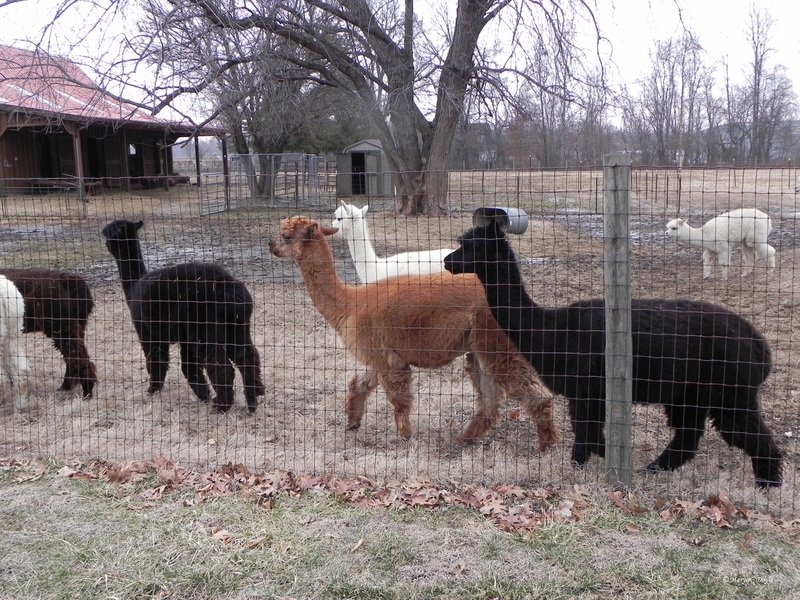 The Sisters of Providence in St. Mary-of-the-Woods, Indiana raise the alpacas you see in these photos on their White Violet Farm for Eco-Justice. 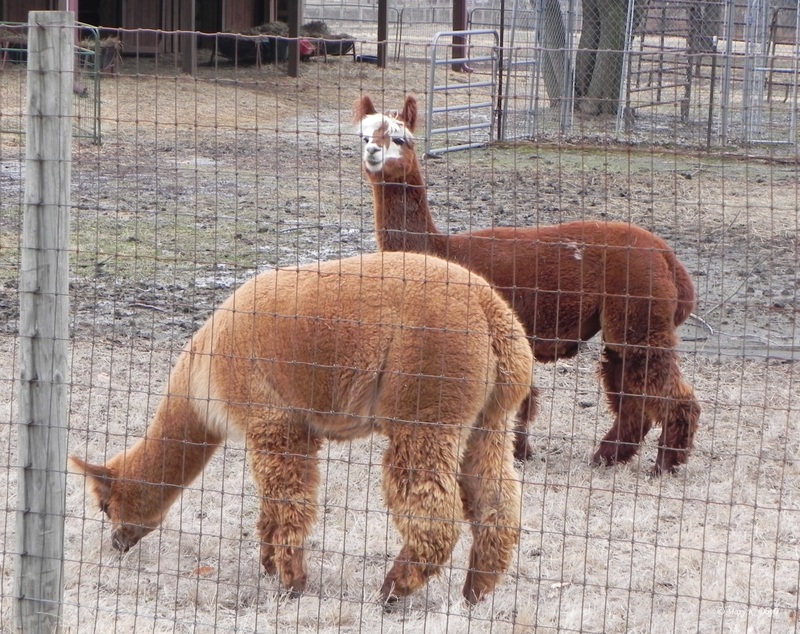 The sisters use alpaca fiber for items sold in their gift shop and alpaca waste to fertilize their gardens. Alpacas belong to the Camelidae family along with lamas and camels. They average about 36“tall and weigh between 100 and 200 pounds. Alpacas have no horns, hooves, claws, incisors, or upper teeth. They do however, have three stomachs. These animals are adaptable to any climate, eat grasses and chew cud with little damage to the environment. 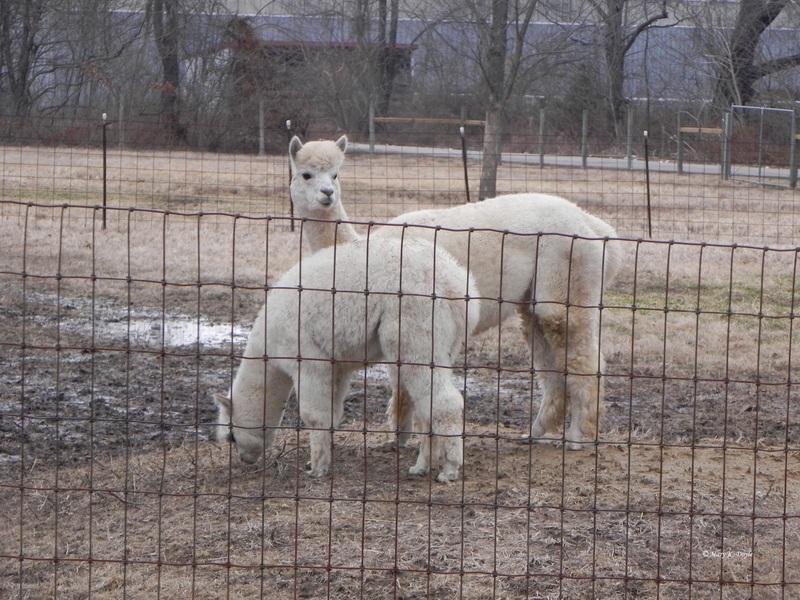 And they can be raised on small acreage.There are two types of alpacas in at least 22 different colors. The Huacaya’s fiber is short and dense. The Suri’s is silky. Alpacas are gentle, social creatures that communicate by softly humming and through body gestures. They live about 20 years and usually have single births. Gestation period is 11 and 1/2 months. Baby alpacas are called crias. There are approximately three million alpacas in the world today, most of which are found in Peru, Bolivia, and Chile. More than 160,000 are registered in the United States. How often do you think I should post to Midwest Mary? I currently post three times a week but am hearing from some of you that it is too often. Please tell me if you prefer posts twice or even once a week.